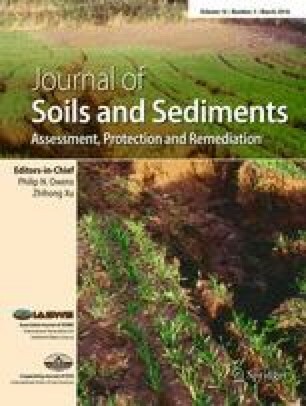 Land use change and the associated acceleration of soil erosion have increased sediment supply to rivers worldwide. To effectively manage sediment loads, it is important to understand sediment dynamics. Fallout radionuclides (i.e. Be-7, excess Pb-210, Cs-137) separately provide spatial and temporal sediment source information. However, their combined application has been limited by an assumption that subsurface sources do not receive 7Be fallout. Here, we examine this assumption and investigate the utility of combining these radionuclides to simultaneously model spatial and temporal sediment source dynamics. Soil and subsurface material were sampled to characterize potential sediment sources in a 12-km2 catchment in northern Laos. This included material that was directly sampled from surface and subsurface sources (n = 65) and also in situ sediment source samples that were collected in ephemeral flow on hillslopes (n = 19). Suspended sediment (n = 16) was sampled at two monitoring stations. A distribution modelling approach quantified the relative contributions of surface and subsurface sources, as well as the proportion of material labelled with 7Be. The results from these two end-member models were compared to a four end-member model examining contributions from recently eroded surface, recently eroded subsurface, re-suspended surface and re-suspended subsurface sources. Approximately 80 % of sediment was modelled to be supplied by sources labelled with 7Be. Subsurface sources were modelled to contribute ~75 % of sediment. Accordingly, there was ~55 % more sediment modelled from subsurface sources than expected if subsurface sources were sheltered from 7Be fallout. Differences between subsoil and 7Be-labelled source contributions modelled by the two and four end-member models were, with one exception (0.3 %), within the range of model uncertainty, further supporting the existence of re-suspended subsurface sources. At an upstream sampling location (S4), surface sources contributed the majority of sediment (55 %) whereas subsurface sources dominated the supply of sediment downstream (S10—74 %). Importantly, re-suspended subsurface sources, labelled with 7Be, were a significant sediment source at the catchment outlet (S10—60 %) during the investigated event. This study demonstrates the utility of combining multiple radionuclides when investigating spatial and temporal sediment source dynamics in tropical, ephemeral catchments. In the future, this approach should be tested with larger source datasets during the entire wet season and in larger catchments. This research furthers our understanding of sediment propagation in tropical catchments, contributing to the implementation of efficient soil conservation measures to reduce the deleterious effects of suspended sediment loads. The online version of this article (doi: 10.1007/s11368-015-1316-y) contains supplementary material, which is available to authorized users. The authors would like to thank the Lao Department of Agriculture Land Management (DALam) and the Multi-Scale Environment Changes (MSEC) project for their support. They are also grateful to Keo Oudone Latsachack, Bounsamai Soulileuth, Chanthamousone Thammahacksa and Elian Gourdin for their help during fieldwork and labwork. This work received financial support from the French Centre National de la Recherche Scientifique EC2CO/BIOHEFECT programme (Belcrue and Belkong projects) as well as from the French National Research Agency (TecItEasy project; ANR-13-AGRO-0007). Finally, the authors would like to thank the anonymous reviewers for their constructive comments and feedback.